T&A Rigging, Inc. is the premier machinery moving company and rigging service in Lakeville and throughout the state of Indiana. As a family owned and operated company, we strive to offer the highest quality and most efficient services at competitive prices. 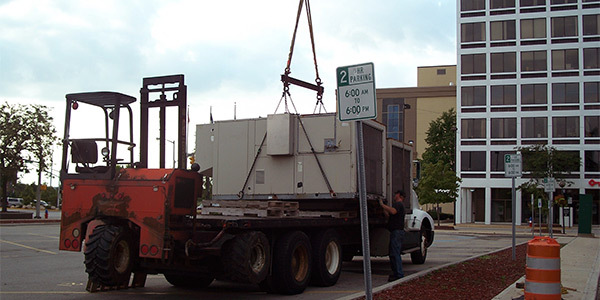 Whether you need a single piece of machinery moved and installed, a rearrangement of your machinery on your existing site or a complete plant relocation, T&A Rigging, Inc. is the company you should call on for reliable machinery moving in Indiana. Since 2005, our team has been working with industrial clients in Lakeville, South Bend and beyond to ensure the safe, efficient moving and placement of all kinds of heavy machines and equipment, and we’re prepared to do the same for your company. We have the tools needed for any job, and no job is too big or too small for our team of experts. We are a full-service machinery moving and rigging services company. We’re a locally owned and operated business serving clients throughout Indiana since 2005. Our owners have significant industry experience, and all of our team members go through extensive training during a four-year apprenticeship. We can handle everything from moving individual machines to relocating entire plants. We’re committed to keeping our rates affordable and competitive. We offer fork lift rentals for your convenience. Contact T&A Rigging, Inc. today for more information about our services and to get your machinery moved the right way.